Below are some more reviews from our past clients. Everything was great!! We had a wonderful reception and are extremely satisfied! Keith & I were very pleased with everything, and we will definitely refer your company to anyone needing a DJ or any of the other services you provide. AJ & Marc did an EXCEPTIONAL job with the music selections Keith & I wanted played & with what our guests wanted to hear. They kept our guests involved & made it a great time for everyone. Larry made the party keep moving and made the night a blast. We are still getting compliments on how good he was and how amazing the party was all night. I highly recommend him and 2nd II None to any bride. John made me feel at ease with the entire evening. He worked with our slightly rowdy bridal party and us to make our night absolutely perfect. Everyone was dancing and everyone complimented us on having a wonderful DJ! There are no complaints about him whatsoever! You guys are awesome!!! We will be recommending you guys for sure!! We received so many great comments on how good DJ Nick was! He’s so good at getting the guests involved and helping everyone have fun! I would definitely recommend him and 2nd II None Productions! I just wanted to say thank you so much for doing such an amazing job at our wedding on June 20th. Every person I talked to afterwards totally raved about how good the DJ was. You truly made our wedding so much better. Everyone was having a good time, and people I didn’t think I would ever see on the dance floor were out there dancing. I also want to thank you for how kind you were, it felt like you were our family/friend rather than just a business person. We really loved that. I will be sure to recommend you to anyone that is looking for a DJ!! Thank you again!! I am sad it is over and we won’t have any more meetings! Take care. I will be sure to recommend you to anyone I know!! Unbelievable atmosphere was created. Many guests have commented in recent weeks about how great not only Eric was, but the videographers and photographers. We couldn’t have been happier with our decision and the way everything turned out. Everything we absolutely perfect. I wouldn’t change a thing from that night. We are still receiving compliments about our amazing DJ! Chaz was our Dj and throughout the whole process was amazing and really formed to the bride that I was. He always made me feel like its whatever I wanted and suggested things that could help make my ideas smoother. He was very professional, friendly, and personal throughout the whole process. This Dj company really knows how to get out and interact with their guests and get the party started and keep it going. The videographer Sean was a great sport! We had him ride around with us and he fit right in. He remained professional along with dealing with all of our craziness. He did a great job and cannot wait to see my video. The photo booth was a major hit at my wedding I’m a photographer so i used it as my favors to express a part of me. I got a huge book at the end of the evening with all the pics that were taken and it was a great way to end the night. The lady that helped was very friendly and it’s a great memory to have. Overall they were a big part of making my wedding day amazing and they totally exceeded it above and beyond. Thank you so much!! You guys were absolutely incredible!!! We had such a blast and are still hearing from guests what a fun night it was, which is all due to you guys- Thank you for everything!!! Nick and Nate could not have been more on point. They kept the evening moving smoother than butter with high energy the whole way through. Everyone kept raving about how awesome the D.J. was!!! You went above & beyond our expectations and made our wedding PERFECT. Ryan did a fantastic job at our reunion – had everyone dancing the entire night! Thank you for accommodating our requests! We had great feedback from family and friends regarding the music– especially our 40s-era/jazz cocktails and dinner music! It was clear from the number of people on the dance floor that our guests enjoyed themselves. We loved seeing everyone dancing in our photos! I just wanted to thank you guys for making our wedding everything we wanted it to be and more! Over the past week since our wedding, we have had so many people tell us that it was the best wedding they have been to and how much they loved our DJs :) We thought that the up lighting and monogram were perfect and got so many complements on how amazing everything looked. We LOVED the cloud and so did our guests! It made for some awesome pictures. Everything that your company did for us from the planning up until the last song of the night exceeded my expectations. I will definitely be recommending you in the future to our family and friends. Thanks again for everything! Our guests had SO much fun! We did as well and couldn’t be any happier with the staff from 2nd II None!! Just got back from our honeymoon – we had an amazing time!! Thanks so much for everything at our wedding, we had TONS of compliments about our fabulous DJs. You both made it so easy on us, and we knew we didn’t have to worry about anything, and you were so flexible with our last minute decisions we had to make. Everything was absolutely perfect. Joelle was great! She arrived on time and got us moving right away. She worked with with us to capture all of the photos that we requested and had awesome ideas of her own. We could tell that she knew what she was doing. The photos look amazing do far and we cannot wait to see the rest. We’ve received many compliments on her work and would definitely recommend her and Second II None in the future! Can we go back and add more hours to the evening? We had so much fun!!!!! You guys are absolutely amazing and we already miss working with you! We love you guys and we hope to have an event where we need your DJ and Photography (also photo booth!) services again in the future!! We would love to work with you again!!! Everything was absolutely perfect and we had such a blast at our wedding! We really enjoyed working with John. He was always responsive and very helpful in planning out the evening’s timeline. AMAZING!! Best wedding DJ ever. Everyone is still raving about you and how much fun the wedding was. You kept the wedding going and people on the dance floor. You went above and beyond on everything. I really liked how you came over to me to let me know the father daughter dance was soon and when you asked me where my dad was I didn’t know but said I’d go find him and you said no I’ll go find him and you did. Thank you for everything. Eric Whiteman and Natalia Dove were the absolute best DJ and lead photographer to work with. They were so professional and helpful all throughout the planning process and the day of our wedding. They sincerely love and enjoy their jobs. Furthermore, they truly want the best for the clients. Planning a wedding is extremely stressful, especially a week or two before the big day. I am an extremely detail-oriented person, as Eric and Natalia are well aware of, and they were fantastic with getting back to me via text, email, and phone call. I very much appreciated their energy, effort, and time they gave to me. Eric and Natalia went above and beyond to keep me calm and as stress free as possible. I would recommend this company and especially these two employees to anyone in need of a wonderful, fun, and professional DJ and lead photographer! I was beyond thrilled with 2nd II None Productions. John Mitch was so helpful and outgoing and our muisic was AMAZING! We got tons and tons of comments on the music and announcments! Great work! Everything was wonderful!! The dance floor was full almost the whole time!!! Ryan was able to get literally almost everyone out of their seats dancing!!!!! Everything was truly above and beyond. We’d absolutely use you guys again and refer you to our friends and family. Nick was fabulous!!! Thank you so much! Willie was fabulous. From start to finish he was very helpful and friendly. Even at the reception, he was very accommodating with our requests and made adjustments easily as needed. We have received numerous comments from our guests about how entertaining and how good the DJ was. He was able to get everyone, young and old, involved and having fun. We would highly recommend him. I can’t even find the words to praise Nick!! He was absolutely perfect!! The night went off without a hitch! He was so professional, kind, courteous, and super attentive. Even during the planning Nick was super accessible and helpful. I feel like we got a wonderful deal! I would pay a lot more for the service that Nick provided! He was fantastic!!!!!!!!! 2nd II None Productions. Absolutely perfect/amazing/fabulous/wonderful…. every positive word you can think of could describe our DJ the night of our wedding! I have been meaning to do this for 2 weeks now and I keep forgetting. I just want to tell you that you were awesome the evening of Dena and Dave’s wedding reception. We had so many compliments about your program. Everyone loved the music and all your fun activities! 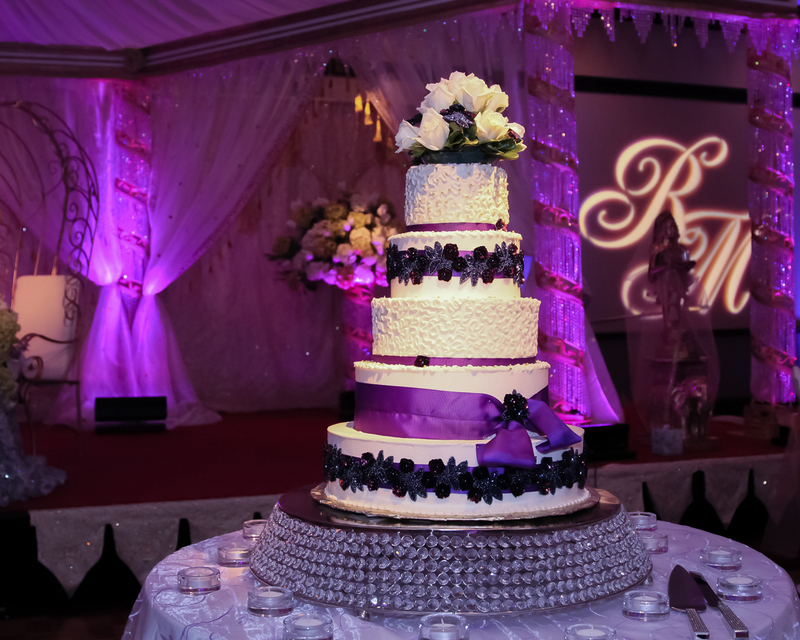 Your services and program definitely played a major part in making our wedding reception the success it was. Passing around the $1 bill was an unique way to warm everyone up. The montage presentation was great too. I have been asked by one of our guests to give her your information. She has a friend whose daughter is getting married and they are looking for a DJ. Hope you are OK with my giving them your name. Again, thank you for a wonderful evening! You guys are fabulous!!! I can’t say enough good things about you all! I could not have asked for a better reception! Everyone is still talking about how amazing all of you are! When I first met Eric I told him a DJ can make or break a wedding and Eric went above & beyond my expectations! THANK YOU FOR BEING SO FABULOUS!!! Thank you for helping to make our wedding a blast! We had SO much fun!! Also, our guests raved about how much fun they had at our wedding and how awesome DJ Eric was! I couldn’t believe that every single guest danced all night long and after the crowd chanted “one more song” at the end of the night, I knew that we put on a wedding that no one would ever forget. We appreciate everything that you guys did for us and we would absolutely recommend your services to anyone! Everything was amazing!! I have had numerous compliments of the entertainment and have not heard one single compliant. Even though the evening did not go according to plan because of an issue with my husband, our guests were entertained and the party was kept going throughout the entire evening. We all had a blast and definitely would recommend DJ Willie T to anyone, in fact we will use him in future weddings of my husband’s sisters. Communication and the planning process was great and I LOVE that my dad whom has passed was included so much in so many unique ways. Thank you so much for everything, Mike and I had a blast and so did our guests. I appreciate everything you did!!!!! Thank you all so much!! Rick and I cant explain how happy and special you all made our day! People are still going on and on about how wonderful our dj was and how everything was fantastic! Everyone loved the fact the the dj got out on the dance floor and participated – huge hit! The photographers were absolutely amazing thank you so much for everything you did for us you were awesome! ! We cannot wait to see all the pictures!! Words cant describe how thankful and glad we are to have had you at our wedding! Our day was above and beyond what we ever would have expected because of your team ! We had nothing but compliments. Everyone was impressed! Keep it up! I’m recommending you to everyone. I’m in my friend, Nikki Howard’s wedding in November and I recommended you to her before my wedding. I’m glad I did! I can’t wait to party with 2nd II None again! Made our event so much fun! Our friends and family had a blast dancing and I loved the music selection and the ability to personalize every tradition making sure all the songs I love were played! Oh my goodness Chaz! I think I’m still recovering from Saturday lol you did an AWESOME job n I’ve gotten sooooo many compliments on how great of a job you did!! Thank you so much for a wonderful night!! Everything turned out fantastic. Again, thanks for everything! You were AWESOME and I couldn’t have asked for better!!! We could never thank you enough for all you did to make our wedding so memorable. Everyone commented that you were so much fun! All of our crazy requests and last minute additions were perfectly handled, and we really appreciate it. I would recommend this company to everyone. You exceeded my expectations and we received so many compliments on you guys. Thank you so much for an amazing night. Thank you so much for djing our wedding. It was so much fun! We’ve received numerous comments on how much people loved the music, and how energetic the evening was. My Grandma loved the dance off, haha. She was so entertained. I still have to fill out the review e-mail that I got. (Who knew that after the wedding is almost as crazy as before). I have so many awesome things to say! I just wanted to say Thank You! You did a fantastic job at the wedding. We have had people telling us about how much they liked you for the past week now! You were engaging and got the crowd into it. I can’t thank you enough for making our wedding such a good time. I am sad that it is over and wish we could do it all over again! You will be our #1 recommend for a DJ!!! We loved you! Thank you so much! Nick was Jessica and my DJ for our wedding and we TRULY CANNOT say enough praise for how he operated! It is my absolute faith that Nick completely drove our entire wedding reception to SUCCESS!. Every single one of our guest had nothing but the best of compliments for him. We originally had another DJ lined up who was a family member and in all honesty, I was very concerned regarding the reliability of this original DJ. Thankfully, he fell through and from the day we met with Nick any of my concerns were obliterated; Nick truly put my mind to ease after our initial meeting and I knew with absolute confidence that we were in more than capable hands. Nick was charismatic, professional, organized and any other adjective that can be used to describe not just a great DJ, but a wonderful PERSON. Nick was so involved with EVERYONE at our wedding throughout the ENTIRE night. He brought a level of energy that honestly kept the “party” going for the entire event. We are so thankful for all of Nick’s help through out the night (before hand as well with any questions we had) and just cannot thank him enough. I would just like to say that I had an amazing time at my wedding and it was all because of 2ND II NONE PRODUCTIONS. The whole group was just a great group of people and I would recommend you guys to anyone. DJ Ryan did such an amazing job! Words can’t express how pleased we were! PLANNING PROCESS–Did an excellent job at communicating with us and fine tuning all of the details to keep our event moving within our requested timeline. I am very detail oriented, so I really appreciated the online planning forms and the final timeline copy Ryan sent over play-by-play prior to the event. MUSIC: We wanted a dance party and that’s what we got!! Music selection was great, really kept the guests on the dance floor. Had so many compliments on how wonderful our entertainment was. Also, got amazing compliments on the dinner music selection. Really liked how Ryan was instructional on the dance floor when group dance songs were playing for those who didn’t know the steps. POST-WEDDING: Loved the fact that our photo booth pictures came on the USB immediately after our event. Also, love that you share them on FB for all guests to enjoy! Last, I never felt like I had to hassle anyone to do something for me throughout the entire process. You were right on the whole way and a class act organization. Thank you so much for playing such a huge role in our big day and doing it perfectly!! HIGHLY RECOMMEND if you couldn’t tell! Just wanted to say a big thank you to you for helping our wedding day run so smoothly and for keeping all of our guests out on the dance floor having fun. We had so many complements about you and how fun our wedding was! It was great to finally meet you in person too..lol!! Things have finally settled down for us and we would just like to thank you for the awesome services 2nd II None provided us in making our day extra special! You personally rocked the house and would be amazed at the compliments we’ve received about how great our DJ was. The photobooth was a huge hit and provides us with many memories of our big day. We will definitely be recommending 2nd II None to any and all in the area planning a wedding! Thanks again for your services we had an amazing reception! Your courteousness, professionalism, and expertise really showed. Everyone had a blast! You and Devin did an excellent job! We were so happy with how everything turned out for our wedding day and are so glad we went with you guys. You played great music and were enthusiastic all night! Everyone had a great time and danced all night! Everyone complimented how great you were! You were professional and we enjoyed working with you. You definitely have our referral! Ryan Leech was a great DJ! We could not have been happier! The music was great and multiple guests commented on how much fun they had! Everything was perfect! Dj Chaz and his dj partner Justin were awesome!! They made our wedding so fun. We got many compliments from our guests on how great they were! We can’t thank you enough for making our wedding day extra specail. All of our guests loved you. It was so much fun and just a perfect night! Big Nick was absolutely amazing!! He was so helpful I didn’t have to worry about a thing. It was so relaxing knowing he had everything under control and he really made sure everyone one had a great time at the wedding. He even danced with my grandma!! It was wonderful! Just wanted to thank you again for a job very well done on Saturday at our wedding! Everyone had a blast and I received numerous compliments about how great you guys were during and in the days following the wedding. Even my mom (the biggest proponents of bands at weddings ever) raved about how great you guys were. The ease and organization in working with you guys for the reception made the night flow so smoothly. Additionally – I would advise anyone hesitant to book with you guys due to cost to contact me because you guys (along with the Faiellas, I loved them too) were truly the best value in terms of any of the wedding vendors I hired. It was truly money well spent and that is a great feeling to walk away with! I wanted to thank you for making everything extra-special on Saturday; it was even better than hoped. I had to pass on a complement I received from friends I met up with on Monday. They are a very affluent couple and are used to the finer things in life. When I saw them, first thing Bill said was “Donna, that wedding was top shelf, absolutely first class. And by the way, you had the best DJ I ever heard – he was great” I wanted to pass that on because I know you put a lot of time into choosing the music and the placement of everything. Thank you again and I hope we meet up again some time. Venue – Holiday Inn Moon Twp. You guys helped make our night! Great incorporation of the guests and getting them to dance all night. What a blast it was! Wonderful job! I loved the fact that you played the music that we like and made it a blast! We had so much fun, you did a great job keeping people on the dance floor. Thank you so much for making it a memorable evening! We hired DJ Eric and DJ Willie T to handle a sales awards event. It was relatively complex corporate event requiring well-timed, pre-written emcee comments (for which DJ Eric was the voice), and the selection of many pieces of music relevant to 41 different award winners as each walked to the stage. Despite being busy with holiday bookings, they arrived at our weekday evening event completely prepared, rehearsed and with music chosen, and full of enthusiasm. They were able to make last minute modifications at our request, quickly and willingly. Their enthusiasm never waned as we extended the evening into an after-party requiring a totally different approach and music collection. Everything went off without a hitch. Professional appearance was also important due to the fact that this was a corporate event. After running through a couple of rehearsals they changed into professional attire, which fit the evening event. I would highly recommend DJ Eric Whiteman and DJ Willie T to anyone. Eric and Brandon did a fabulous job entertaining. Ryan and I were so pleased, and our guests are just raving about them. They certainly enjoy what they do, and it shows in their work. Thank-you again for a memorable night. We appreciate that you really took the time to get to know us ahead of time. It helped to personalize our wedding and really make us both feel so special. We were also impressed with how organized and friendly your staff was. And the online planning form was a lifesaver!! It really helped to keep me organized and give me ideas of which events throughout the night we would need music for. I know this email doesn’t do justice for how appreciative we are, but thank you again for helping us to host such a fun wedding. Your services that night had EXCEEDED our expectations by far! 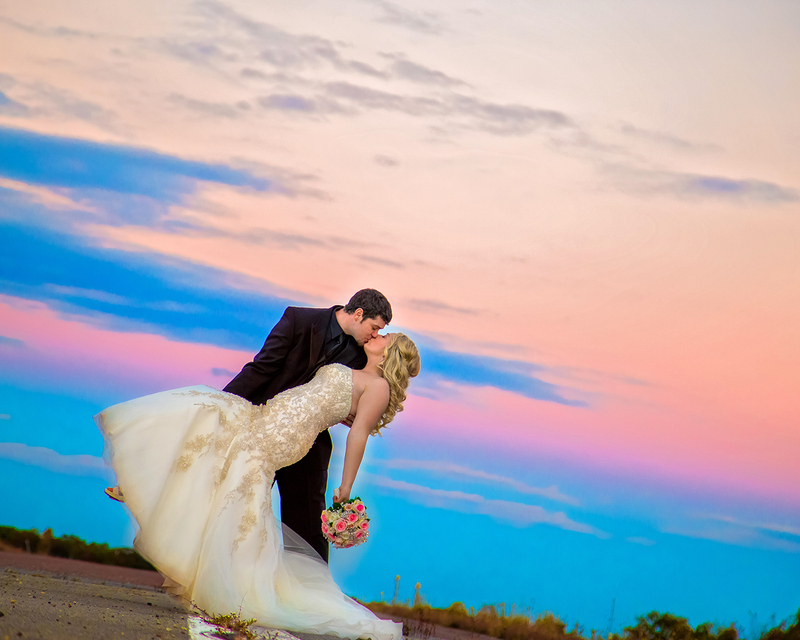 We will be happy to recommend you to anyone we know in the Pittsburgh area getting married. If there is anything else we can do for you, please just let us know. I wouldn’t be surprised if a few of our guests call you for their future weddings! Mark and I (as well as ALL of our guests) were very pleased with the DJ services at our wedding. DJ Willie and his crew exceeded our expectations. They truly did a fantastic job. Thank you and best of luck in the future! We’ll miss talking with you! Ryan & Rich were awesome. EVERYONE had so much fun and the rave reviews are still pouring in from our guests that night. Start to finish… Ryan was the best! Ryan was prompt, professional, personable and was truly the energy and representative of our evening to our guests. I couldn’t ask for anything more. Ryan covered all requests, needs and kept the party going! Great job! Ryan is a wonderful professional representative of your business and I will HIGHLY recommend Ryan and 2nd II None to anyone interested in services you offer! You guys were great! We loved every minute of our photography experience. You guys made it so easy and we had a blast. Thank you for all of the wonderful photos. Brett & Billy did an awesome job! the guest’s were on the dance floor nearly the entire night. You guys are a great company, DJ Big Ed and Nick were amazing, everyone was talking about how good they were. We watched the wedding video! Wanted to tell you thanks so much for everything you guys are an amazing! You did so good and im so glad we got to have you as our dj! Thank you for everything you guys did for us. There is nothing that needs to be improved. Eric and Dev D blew our expectations out of the water. Eric, Dev Dee, Rebecca and Talla made our wedding day something that we will never forget. Rebecca and Talla made taking pictures so much fun. They were friendly and so easy to work with. They made you feel so comfortable in front of the camera. They also were so easy to talk to and took our suggestions. I would recommend them to anyone and would not think twice about using them again. Eric and Dev Dee blew my expectations away with the entertainment. I LOVED when they were on the dance floor and teaching the crowd how to do different group dances. I loved that they interacted with the crowd. Once again I would recommend them to anyone and would never think twice about using them as DJ’s. You guys were great! So many people said what a wonderful job you did and asked what your name was. I gave a few girls you info. for their upcoming weddings. Thank you so much for making our wedding so fun! No. Chaz and Justin (I hope that was his name. I know I asked twice, but I wasn’t concentrating too well!) did a fantastic job! We didn’t worry about a thing. It was wonderful to just relax and enjoy the reception. You have, and run, a first class operation. We appreciate all you did to make it a wonderful evening. If ever you need a recommendation, do not hesitate to ask us! We had many people say what a wonderful job the DJ did to keep the party moving along. I know the Elizabeth and Michael had a great time! 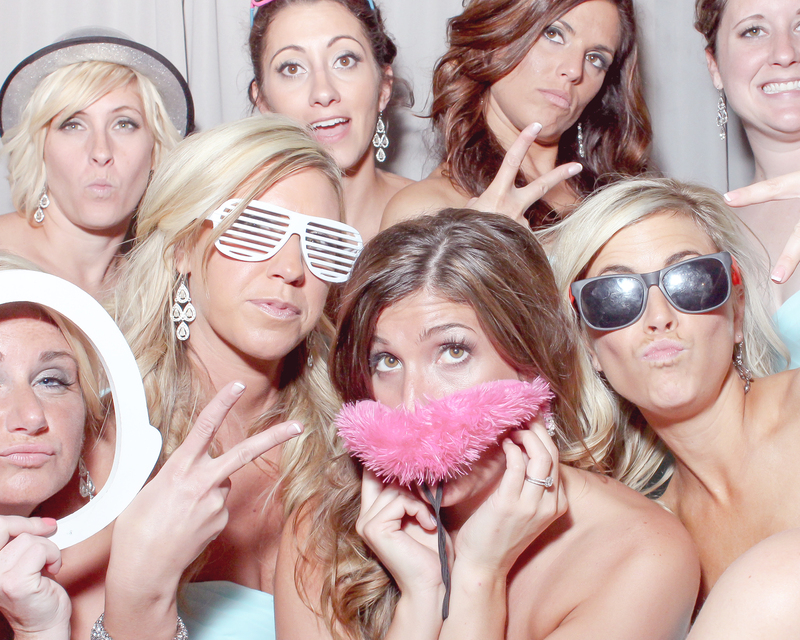 We also used your photo booth services and they were a hoot! I had second thoughts at first as to whether we really needed a photo booth but it was one of the best things we did! I would recommend this to everyone. The guests had a ball with it and the Elizabeth and Michael were thrilled with the album! They helped make it a night that none of us will forget! Many thanks from all of us!!! Eric and Willie were great. Everybody had an amazing time and kept raving about how good the dj’s were. We could not imagine having anybody else dj for us. A few of our friends who are having upcoming weddings asked for their information so they could book them. Nick and Ed were excellent all the way around. No need for improvements! Many of our guests asked us where we found Ed and Nick. We passed on the contact information. You were amazing! Thank you so much for everything!! Awesome Job!! Everoyone loved Big Ed and so did we. Did a wonderful job. Got the crowd into it and every special request that we made was done no questions asked. Couldn’t have asked for better. We would not hesitate to use your services again. Thanks! We were EXTREMELY impressed with Chaz’s professionalism and courteous manner prior to and during our event. He was respectful and had an AWESOME personality! Sound quality was perfect! I loved that Wilie had so many new ideas. He made the night unique… Got the party going… and kept it going all night long!!! Eric was an amazing DJ. He had our guests dancing all night long and the dance floor was never empty. he had all of our guests engaged the whole night. I had so many compliments about the music and the DJ. I would absolutely recommend him! My cousin Amanda loved you so much she will be calling to book her June 1, 2013 wedding with you. SEE YOU SOON RYAN!! I want to thank Chaz and Justin for doing a great job. From the time the started playing dance music the floor was never empty. Thanks for making my wedding a success. If I ever need another DJ I would want them to be it!!!!!!!! We just wanted to thank you again – we had an awesome time and everyone remarked how great you were. We will definitely be recommending you to our friends! Willie T, if we had not just gotten back from our honeymoon last night, I would have e-mailed you sooner. We just wanted to say THANK YOU SO MUCH for everything you did to make our wedding reception so perfect. It was 100 times better than we could have ever imagined it would be. Everyone that was there keeps telling us what an amazing job you did to get (and keep) the party going all night. They keep asking us where we found you! We have several friends that were there that night that are engaged, and they were all asking me for your information and it seems like everyone wants you for their weddings, too! It means so much to us that despite everything you have going on in your personal life, not only did you show up to our wedding, but you gave it 150%. We are truly impressed and extremely thankful. We really think the world of you. You really are excellent at what you do and should be very proud of yourself and the business you have created. Nick and I had a great time at our wedding. Ryan made it so much fun for us! He was professional and kept the party going! Thanks! Helped to make our wedding reception something the guest will always remember. The service/performance was great. The dance floor was nonstop from the get go! Excellent work by Dave (and his DJ partner). 5 stars out of 4!!!! Ryan was awesome, everyone at our reception loved him and his partner. Very friendly and a great asset to us. We feel strongly enough about his good services that we have invited him back for our next two picnics. We look forward to another positive occasion with “Big Ed” here. Great job couldn’t be more satisfied with our wedding. Thank you for being so accommodating with all of our requests. The night was memorable because of your ability to feel the flow of the evening, and conduct the event accordingly. Ryan was great. He was very helpful throughout the planning process. The day of the event he made adjustments as needed and kept the party moving. All of our guests had a great time! OMG…..Yes speechless……you are AMAZING!! I have had so many comments on such a great wedding and I owe it all to Andrew and Tatum for getting YOU! I have never been to a wedding that there was always people on that floor! SOOOOO many people were still there at the end! The choices of music and your personality just completed the day for a perfect wedding. Thank you even so much! Tatum – Big Ed & his DJ were awesome!!! Everyone had a great time and the music selection was perfect! I don’t think there was a single time the dance floor wasn’t filled! I highly recommend Big Ed, his assistant, and the company!!!! Thank you so much for everything!! It was such a pleasure to work with Willie and Roy. You both really made mine and Ian’s wedding an awesome, awesome day and our friends and family had such a wonderful time! 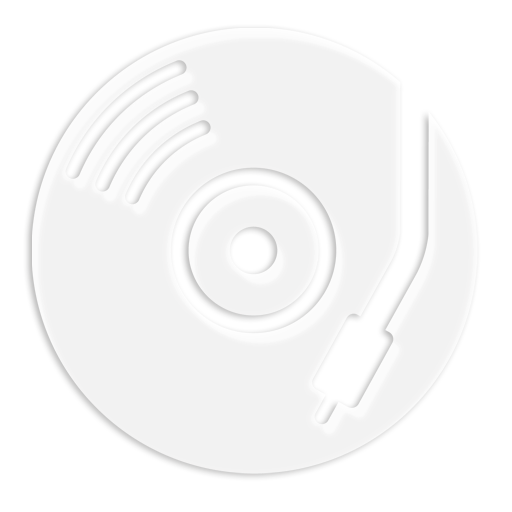 We will recommend 2nd II None to anyone we know looking for a DJ for a special event. Our experience with 2nd II None was fun, easy, enjoyable and resulted in a great day. Thank you for all your time and hard work! All the guest LOVED you guys! There was the perfect amount of dancing and everyone felt involved. There was never a dull moment all night! I know 2 girls at my wedding had said they would like to use 2nd II None as their DJ! Most entertaining, fun, exciting wedding ever!! We got a million compliments on the DJ and said it was the best wedding ever!! Big Ed was awesome! He really got everyone moving and involved. I am so happy with everything that took place, and I cannot thank him enough for all of his help with the planning keeping everything going right on schedule! I was actually able to relax and enjoy my wedding without worrying about everyone being where they needed to be at a specific times. Great job!!!! We had a wonderful wedding day, thanks to your wonderful company! Chaz did a wonderful job working with us and our other vendors to make the day run smoothly. It was absolutely perfect. We could not have asked for more!! I would highly recommend 2nd to None for eny event! I would have to assume that Ryan is your top DJ because it would have been impossible for anyone else to have done a better job! He was incredibly professional, always flexible with our meeting times, and he kept all of my guests on the dance floor the entire night! Which is exactly what I told him I wanted. He is an amazing MC, DJ, and all around person. He made my wedding day perfect and I will absolutely be shouting from the roof tops for anyone to use him as their DJ. I just can’t say enough how wonderful he was and how great he made our day! We also loved the lighting that we rented from your company – the room would not have been the same without it! AMAZING!!! I apologize for the delay – life has been absolutely crazy for Justin and I since we got back from the honeymoon … school, work, etc … I knew that I needed to sit down at some point though and send you a messsage that you could post as a testimonial on your website. We ABSOLUTELY LOVED EVERYTHING! The lighting was AMAZING and the monogram added a super special touch to the decor. Roy did an amazing job. As for the after party …. I dont even know where to begin. When we got back to the hotel from the Fez, Ryan already had the party bumping! Soon after, we actually cleared the upper room of the hotel bar/restaurant and made a dance floor… there simply wasnt enough room for all the people who wanted to get down. Ryan also took into account the audience – despite the fact that we did create a playlist, he accomodated the requests of guests and played music that was old, new, classic, etc. At one point in the night he played the “hotel … motel … holiday inn … ” and I thought the place was going to explode. In fact, there was another party in the ballroom next door (it was some company holiday party) … the music was so good in the bar and the crowd bumping so hard that we literally had people leaving the other party to come to ours… it is a night I will NEVER forget. Thank you sooooo much for everything you did to make our day/night amazing. FYI: I referred one of my coworkers to you that is getting married this August. I told her to let her know I sent her your way … good luck and best wishes to you, your staff, and company. We absolutely LOVED Eric! He made our wedding reception absolutely the best! We have been to many weddings, and we always say “it’s the DJ that makes or breaks it.” I will tell you that Eric definitely MADE our wedding. Everyone we have talked to that attended said great things about him. My grandma keeps talking about how she was surprised that they didn’t even take a break! He had everyone dancing…literally the dance floor was never empty. He did a great job of getting everyone involved and making it fun. Not to mention the AMAZING job he did with the uplighting, the TV’s, photo montage, photobooth, etc. I would recommend Eric to anyone that wants to have an awesome wedding. And Eric – if you see this – thank you so much I couldn’t have asked for anything more!!! We are happy to have done business with such a professional, client oriented, energetic company. You guys had people yelling “One More song,” at the end of the night. The dance floor was packed all night long, and you even made the formalities of a wedding enjoyable. Willie, personally, and 2nd II None will be our one and only event entertainers, and referrals from this day on! Thank you again so much for making our special day so enjoyable. Everyone raved about how good Ed was. I really want to say thank you for helping to make our wedding a really fun time!! Chaz was wonderful accommodating for how Tony and I envisioned our wedding. We do not have one complaint. After the wedding everyone was complimenting the dj. Chaz made the wedding. If it wern’t for him, there wouldn’t be as many guests dancing and having fun. We truly cannot thank you enough for giving us the best wedding imaginable. You were amazing, the music was the best an the flow of the evening was perfect! From all the organizing and planning, to all the details of the wedding, you were excellent to work with. We haven’t stopped talking about how amazing you and 2nd to none were since the music stopped. We would highly recommend you to any of our friends who will have upcoming weddings. Can’t thank you enough! Everyone we talked to after the wedding had nothing but great things to say about the DJ! Everyone was very impressed! and there are a few in our group that are very hard to please!! Thank you SO much for making our special day AMAZING! We knew you were a wonderful DJ and you exceeded our highest expectations! Everyone had a blast!!! Where do I even begin? I just wanted to let you and Dj Roy know what a wonderful job you did entertaining our guests at our wedding! After all of our meetings, I felt confident our guests were going to be in for a real treat. It was wonderful not having to worry about a single thing! Both of our families have been to a ton of weddings, and have never seen dj’s as involved and entertaining as the two of you! I was so surprised that at the end of the night, 3/4 of our guests were still there, and on the dance floor! All of our guests kept commenting on the fact that you made sure everyone knew what was going on at all times. Everything went so smoothly, someone actually asked if it was rehearsed! From the moment we walked in, to our last dance, we had an absolute blast! Thank you also for helping with all of my surprises….my dad’s secret father/daughter dance, and my little sister Krista’s surprise “sister song”! If there was one thing I could change about that night, it would be NOTHING! I can’t even tell you how many of our guests called my parents while we were on our honeymoon just to say how much fun they had, and where in the world we found you guys! 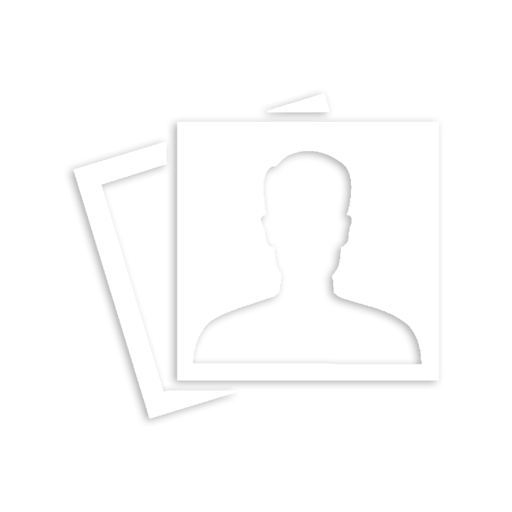 To the two guys who were run ragged at the photo booth….AMAZING job! They kept the line moving all night. The album is hilarious!! What a wonderful keepsake! The guests absolutely loved it! Apparently so did my dad….he’s in a ton of pictures! I think there is a picture of every guest in that album! The photo booth was an absolute hit with the guests! Thank you guys so much for exceeding my expectations, and helping to make my dream wedding a reality! I will definitely be recommending you to anyone that I know that will be getting married. My three sisters already said you will definitely be their dj! Thanks again for not being an “ordinary” dj, and going above and beyond the normal dj. Words cannot express how happy we are that we chose Second to None for our daughter’s wedding. I remember initially seeing your booth at a bridal show that I was working at and was very impressed. 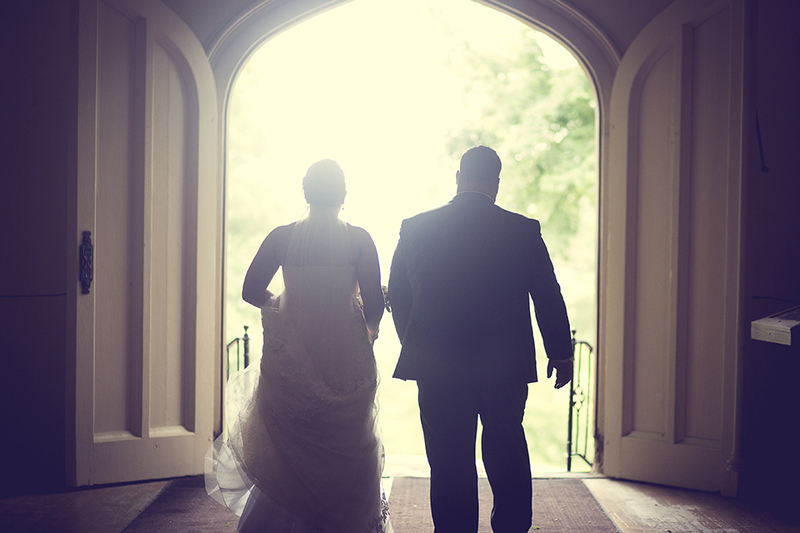 With working at a facility that hosts quite a few weddings – word of mouth always was how great Second to None is, and of course when it was time to plan my daughter’s wedding there was no question who our choice would be. From the onset and the initial meeting everything was handled in a cordial, thorough and professional manner. The questionnaire and the planning schedule is a wonderfully organized tool, and gives the bride and groom full throttle in planning and choosing any type of music they desire. 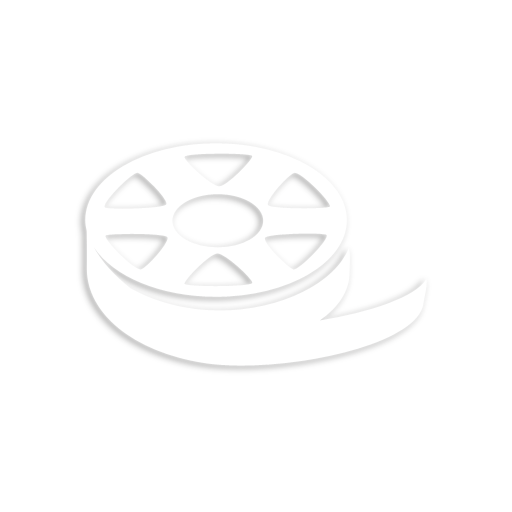 You also suggested many unique and creative ideas to the mix along with many additional options that you offer such as videos, monograms, etc. As we all arrived at the facility you set the tone for the entire evening by being a wonderful “master of ceremonies” along with the wonderful selection of music. From the entrance of the bridal party to the end of the wedding, the dance floor was always full….which of course constitutes a “great party”. Days and weeks after the wedding, guest after guest has told us it was the best wedding they have ever been to and a very large part of that was because of you. The best part of it all was that my daughter and her husband had the time of their lives. Thanks again for making our daughter’s wedding the best event ever. Willie, I just wanted to thank you too for the beautiful photography for Jennifer and Gates’ wedding. We are so very pleased with the whole process. At our oldest daughter’s wedding, we had the photographer from heck….he was demanding, disrespectful, and just plain rude! 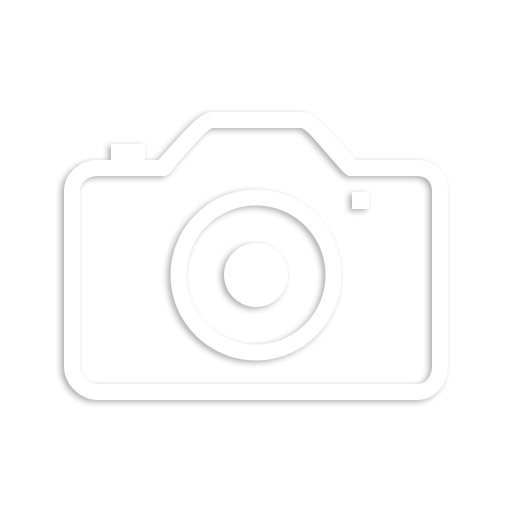 We had the exact opposite experience…everyone from your photography department were tremendous! They were courteous, professional, fun, creative, and half the time we didn’t even know they were there! The photographs are the best I have ever seen from a wedding! Thank you so very much! I would highly recommend their services to all! TERRIFIC EXPERIENCE!!!! You made the whole process wonderful for a very nervous mother of the bride. You were very responsive to my phone calls and e-mails, and assured me that everything would be amazing and it certainly was…better than I could have imagined! Eric and his assistant were respectful, fun, and energetic! 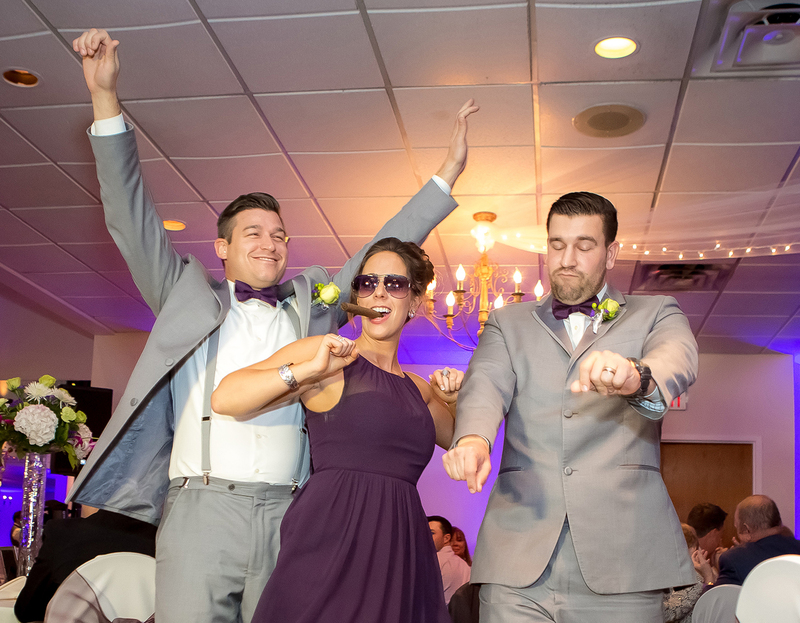 They had everyone on the dance floor enjoying themselves….their energy was contagious! Thanks you so very much for everything. I would highly recommend 2NDIINONE PRODUCTIONS to anyone planning an event of any kind…the entertainment does make a difference! Thanks again. Adam and I just wanted to thank you for being the best wedding DJ. You truly helped make our day amazing. Everyone commented how fun you were. You were very interactive and played a variety of music for everyone to enjoy. There were constantly people on the dance floor and we thank you for that. My Aunt and Uncle who I’ve never seen dance, were out there! Overall, we wanted everyone to enjoy the day and I know we succeeded. We discovered you at a wedding and I hope other people did the same at ours. We will definitely recommend you to family and friends in the future. We appreciate all of your time and it was a pleasure working with you. Adam and I just wanted to thank 2nd II None Productions for making our wedding day truly special. Big Ed and the photobooth made the night awesome. We got so many compliments on the photobooth. Everyone absolutely loved it! The props were perfect and it was quick moving. The album was put together beautifully and we got a few laughs out of it the next day. We already personally thanked Big Ed for being amazing. He is so interactive and played the perfect variety of music that the dance floor was always full. We got quiet a few comments on people saying how much they enjoyed him. We would definitely recommend the company to family and friends. We will also remember you for any future events. Ed seriously kept our dance floor packed from beginning to the end of the night. Unfortunately, we ended up in a rain shower with 20% chance of rain. But, that didn’t stop him from continuing our party by moving all of his equipment and setting up in a covered area. We will be forever grateful for his positive attitude and adaptability. His music selection was perfect and was able to read the crowd perfectly. I had a lot of guests comment how much they enjoyed him. I am the first of my group of close friends to be getting married and I will be recommending him to everyone!! He could arguably be one of the best in the area. Shawn and I wanted to write this email to let you know how pleased we were having you DJ our wedding on May 21, 2011. This summer has been so crazy, we just haven’t had the chance to do it until now! Willie and Dave, you made the planning processs easy and laid back. You both were always easy to get in touch with and promptly returned our phone calls, emails and texts. You were open to any ideas and suggestions we had, no matter how different or crazy they were. Shawn and I have to admit that when we first met Dave, he was so nice….and quiet. And we were a bit concerned. How was this soft-spoken, friendly guy going to making our reception the fun party we wanted? Boy, were we surprised! Dave, you took our Penguins opening theme idea and ran with it! We loved the extra “ESPN”-ish Sport Center stuff you added to it. Walking into the reception, with our Penguins towels waving, to the cheering crowd, was awesome! We will always remember that. Your recommendations for the types of music, and when to do certain planned items during the evening, were invaluable. And you were able to mix our eclectic requests…from the 80′s, Van Halen, the 60′s, and top 40 dance music. Every time we look at our pictures (shout out to Rebecca & Natalie), we see all of our guests smiling and laughing and dancing…all of them! It was terrific how you got everyone up on the dance floor. And Tom kept everything going behind the scenes (and is really good at catching falling equipment!). I could go on and on. You arrived and had everything set up with perfect timing. We’re sorry it took so long to getthis thank you note out to you. Dave, Tom & WIllie, you all helped make our wedding day unforgettable, and we will never forgetthat 2nd II None helped make that possible. Iwas referred to you by a friend, Kristen Romano, and she was absolutelyright. 2nd II None is…second to none! And every time anyone asks us to suggest aDJ, for any reason, we will send them straight to you. Eric you truly made our wedding amazing! Everyone had a blast and told me it was the best wedding they’ve ever been to! You made our special night PERFECT!! Thank you so much for everything! :-) We hope to see you at another event soon! David was very willing to help us out with anything and everything we requested. He went out of his way to make our wedding special. Thank you! I can’t begin to express how amazing you and Roy Boy were this past Saturday. Thank you so much for making our wedding so much fun and memorable. Our guests are still talking about how great the DJs were! We really appreciate all the work you put forth to make our special day absolutely amazing! Can’t wait to see all the pictures Mike and Natal took! They were both really great to work with! DJ Eric was absolutely amazing! He was very FUN, entertaining, full of energy, adaptable, and very professional! I have always heard that a DJ will make or break your wedding and DJ Eric, without a doubt, made our wedding! I cannot express in words how pleased I was with Eric’s work. I will definitely be recommending 2ndIINone, specifically Eric, to anyone and everyone I can! Eric, Thank you so much for helping to create such awesome, life-long memories of our wedding for Jason and I! I have received nothing but raving, positive compliments from our guests and bridal party regarding DJ Eric’s services at our wedding reception two weeks ago. Eric was great assisting us in the planning leading up to our big day and was also very prompt in responding to our requests, even at the event itself. I cannot commend him or the company enough for the service they provided… Not to mention the lighting MADE the atmosphere- the look was PERFECT!!! Thank you, thank you, thank you Eric (and your assistant) for everything!!! Willie T was awesome! Everyone said it was the best wedding ever because of the DJ he had every single person on the dance floor the whole night! We loved how he interacted with the guests and the way he had everyone joining in on games and dancing! Hands down he’s the best DJ ever! He’s so good in fact he’ll be dj’ing the 3rd wedding for our family! Can’t thank you enough for making our day perfect! Thanks again! I cannot tell you how many people have told us what a great wedding it was and how much they enjoyed themselves. Watching the video back you can see that everyone was up dancing not a person at the tables. Not bad considering we had over 300 people !!! You guys are awesome! You were professional and most of all personable !! I will miss talking to you Eric ! I would highly recommend you for anyones event. We wanted to take a minute and tell you how wonderful a time we had at our daughter’s wedding. You were wonderful. I have had nothing but wonderful compliments on how much fun everyone had and how great the music and ‘entertainment’ was. My family tells me that they have never seen a wedding where there was so much entertainment – all of it good! The videos were so special and such a personal touch. This will be a wedding remember for a long time. You were such a help in preparing us for the wedding. You were so much more than a “DJ”. You walked Jessi and Matt through each step. Everything fell into place. I can’t tell you how much it meant to me personally to know that when I walked in that room, everything would be as you said it was going to be. No unfortunate surprises – no problems. Just pure joy. From the back drop, to the lighting to the music and entertainment, you were nothing but professional. EVERYONE has complimented on how beautiful this wedding was. Thank you so very much. We will never forget you. Every single person at our wedding said that it was the best wedding that they have ever been too! Our goal for our wedding was for everyone to be dancing and having a good time. Eric did just that! Eric sat with me and helped me plan the wedding reception of my dreams! From the big screen to the photobooth and the music, it was a fantastic night! I will recommend 2nd II None Productions to every couple I know that is getting married! Thank you so much Eric and Willie T for making our wedding so much fun and memorable! Great job! Everyone had a wonderful time and couldn’t stop talking about how great the event was! We especially liked the introduction of the bridal party. Wedding Center was great!!! Ryan and Chaz did an an amazing job at our reception. Ryan was great to work with, he helped me plan the entire evening. Everyone had a wonderful time! Thank you so much!!! Willie T is awesome. You got everyone up and dancing – even the people rooted to their seats. If anyone did not have a good time, it was their own fault. The feed back I have been getting is wonderful… Thank you for making this a memorable event – I wish I would have kept you for another hour. We will never forget you… Thank you for all your help and feedback. YOU ARE WONDERFUL! I just wanted to let you know how WONDERFUL Eric was! I got so many compliments on every aspect of my wedding, but mainly on the DJ and Photobooth! Eric was very interactive and was very helpful and just plain AWESOME!!! You did a fabulous job and I would have NO PROBLEM suggesting you to friends and family looking for the services that you offer! DJ Big Ed was awesome to work with from the moment me met with him for our initial meeting to the very last second of our wedding. I did not have to worry about a single thing! He made sure that every event during the evening took place the exact time and way we wanted it to. He also played every song we requested for each event! DJ Matt was wonderful as well!!! We are still getting positive feedback and compliments about the entertainment at our wedding. DJ Roy was great to work with for our photo montage. He made it so memorable that our guest are still talking about how nice it was! I had such a wonderful experience with 2ND II NONE and would recommend others to them with honor and pleasure! Thank you 2nd II NONE, DJ Big Ed, DJ Roy, and DJ Matt!!! I just wanted to send a line thanking you and your team for the great job you did at Marguerite. I have to say that you guys did the best job I’ve seen at a night at the races. You kept the crowd in the game the whole time. Thanks for helping make the event a success for our organization. I’ve been wanting to send you a thank you card but it keeps slipping my mind–so I figured I’d just send you an e-mail while I was thinking about it and while I was at work so I could get paid for doing it hahahaha. Anyway, I just wanted to thank you for making my wedding reception so fabulous. Jayson and I had the most fun we have ever had. It’s been over a month and people are still coming to me and my parents saying what a great time they had and what a great job you did. It was everything I ever imagined and more and I really appreciate all of the energy you put into our day. I will most definitely recommend 2nd II None to everyone I know!!!! p.s. I will be sending some pictures, too! For the record, our parents called us while we were honeymooning in Mexico, because they had received so many inquiries about “our wedding DJ!” Now that’s what I call a lasting impression!! 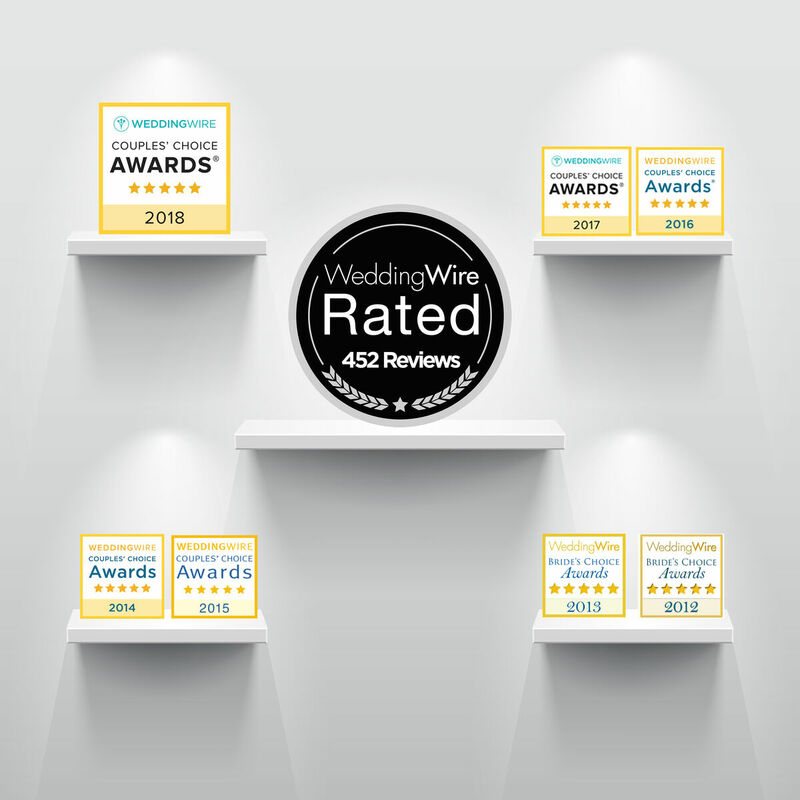 We have and will continue to recommend your company to anyone planning an event; we only wish we could relive that day again and celebrate with the two of you! Willie, every time we looked up you were smiling, laughing and entertaining our guests! You have a sparkling personality – it is no wonder that people gravitate to you. We have never seen a dance floor so crowded! Thank you for giving our reception such a personal touch! Roy, you created the best “soundtrack” for our wedding day! We loved watching you, because you radiated such energy onto the dance floor! Also, we have some wonderful pictures of my 5 year old niece and 4 year old nephew checking out your equipment. Thank you for taking the time to accommodate their curiosity – they felt very special to “work” beside you! We put the entire reception in your hands – thank you for giving us the best day. You helped create a celebration that truly showcased our personalities and our love. Thank you for your support and guidance through planning, your organization and enthusiasm at our reception, and your graciousness as our day came to an end. The both of you have given us the best memories from our wedding reception; that is a gift of such magnitude, that ‘thank you’ does not properly express our sincerest gratitude. Because of you… we will take those memories with us forever! I just wanted to say thank you again for being there on Saturday and doing such an awesome job! I could not have asked for anything better. You went above and beyond what I imagined and made our day complete. So many of our guests have asked about your company these past few days and I am passing along your information. That room was gorgeous with the lighting and snowflakes. Once again, I thank you from the bottom of my heart and I hope to see you at other events in the future. Now that life is back to normal haha, I wanted to take a minute to thank you again! You truly did an AWESOME JOB!!! I don’t think I’ve ever been to a wedding where that many people danced, ALL night! I have heard such great things from everyone! I can’t thank you enough – they say the DJ is the most important part of the wedding, and we certainly had the best! Thanks again, you were amazing! Eric and his team were more than exceptional! They truly made our special night not only unforgettable for us but also for our love ones and guests. We’ve had a number of friends request his services since the wedding and it has only been a week ago! Thanks again for your hard work and talents. the congo (which I love the way it was done) and the table number dance (they were hoping that they were going to get a good song to dance to ha, ha). are going further than where you are today. Thanks so much once again!!!! Everything went so well, I don’t think I have any suggestions. The mics worked great without any feedback and the volume levels were wonderful. DJ Ryan understood that I wanted to keep to a schedule and he did everything that he could to do that. I am very pleased with the service I got from 2nd II None. We could not be more pleased with David C. as our DJ on the night of our wedding (7.16.10). He was extremely professional and well prepared and ensured that all of the music details that we wanted were played when they should have been. He even joined in on some of the group dances! Also, he was very accomadating frequently checking over with us to make sure we were ready to move on to the next sequence of our reception. 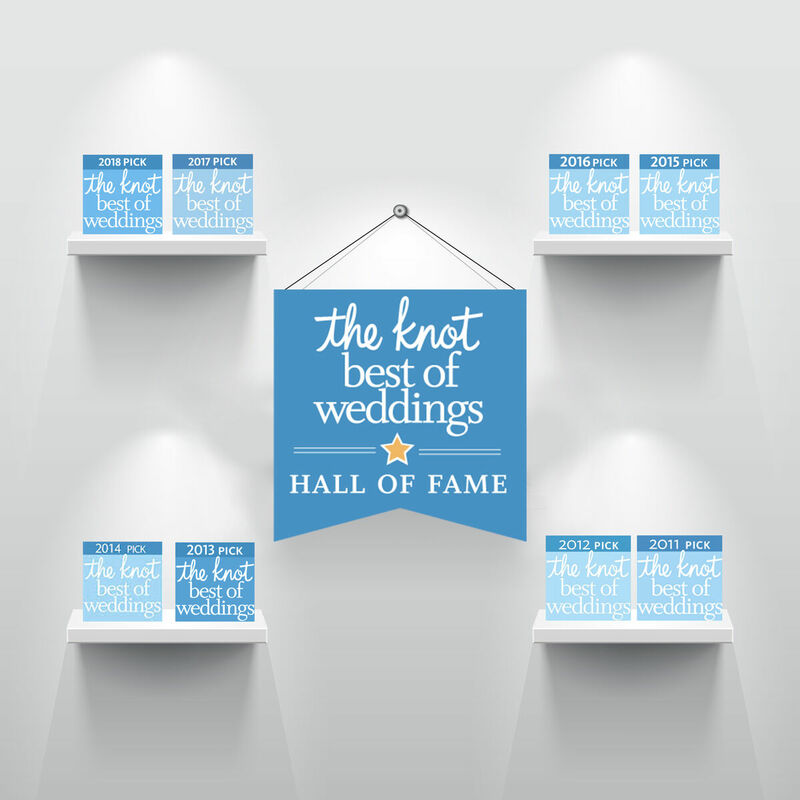 We would definitely recommend 2nd to none and especially David for their wedding or event. Thanks so much for helping to make our day so great! Ryan and Chaz did an an amazing job at our wedding. Ryan helped everything flow so smoothly. It was a pleasure working with him from the beginning. Everyone was on the dance floor at the end of the night. It was perfect! This is long overdue, but I have been meaning to let you know how great Eric was at our daughter’s wedding. Kate & KC got married at the West Overton in Scottdale on May 29th. Eric is absolutely the best! There’s 3 things that make a wedding wonderful for the guests – the location, the food, and the entertainment. For our guests, Eric did an over the top job! The ceremony music, montage, and up-lighting added greatly to the enjoyment too. Thanks to Eric everything flowed smoothly and everyone had so much fun on the dance floor – we ended up booking an extra hour at the end of the evening. There at the reception and later, we had so many people tell us, not that is was a nice wedding, but that it was one of the best weddings they had ever been to, and that means so very much after all of the time, expense, and planning that you go through to have a wedding. What means even more though, are the memories that Kate & KC have of their reception and of the great time they and their guests had! I have and will continue to recommend 2ND II NONE Productions and especially Eric when I hear of someone planning a wedding or event. Wish we could think of another reason to do it again…. maybe the first anniversary!!! Tell Eric Hi and many thanks for the wonderful evening! Our experience with 2ND II NONE PRODUCTIONS was literally just that. DJ Willie T was always so helpful and professional with the entire planning process. Even with a few last minute decisions on our part, they were still just as gracious to work with us. Then when it came time for our big day to happen they really were show stoppers. From the very moment it was time for everyone to dance, they had the entire room off their seats… ALL NIGHT! Even my husbands 80 year old grandmother in a wheel chair was being pushed around the dance floor, waiving her hands in the air. When the day before she told us she would be leaving the wedding early because she’s too old. 2ND II NONE PRODUCTIONS made our wedding all that we wanted and so much more! People are still talking about how awesome our DJ was. And.. I hate to say it, but the one thing my husband wanted to be in charge was the DJ and he did a killer job picking them out! Thanks again guys, we recommend you to everyone! !